Man I don't even know where to BEGIN trying to process this. Her refusal to acknowledge you in any sort of way or offer the slightest of apologies after being called out? 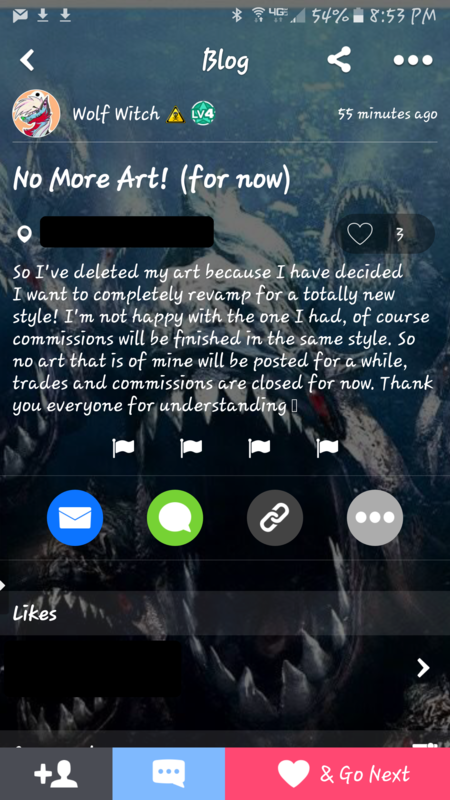 Or the way she completely makes up a story faker than my eyelashes to her follower base as to why all her art suddenly went missing? Publicly maintaining her lie definitely indicates she doesn't feel the slightest bit of any real guilt over her actions or the intent to change it, to me. Honestly just totally ignoring you and then publicly spouting some unbelievable lies, deliberately misleading and lying to her followers like that just disgusts me. If shes too embarrassed to admit what she did to so many people, that doesn't really mean she has no reason to privately apologise to you. 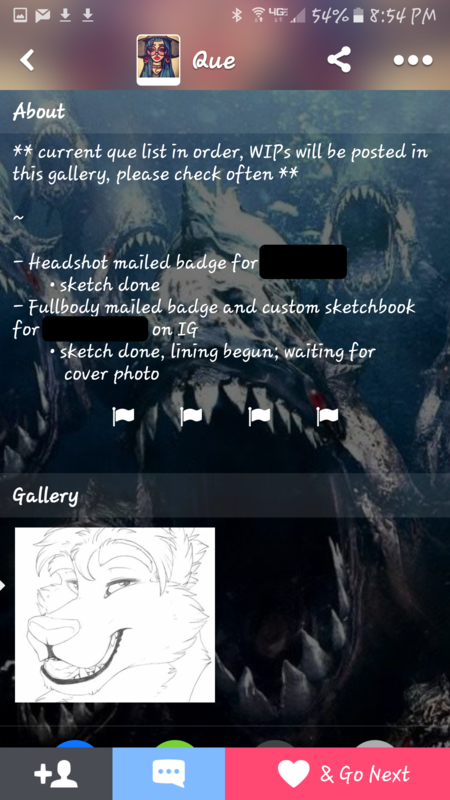 It's conjecture but I feel certain she's not intending to REALLY develop her own style from here on out, but is probably just intending to find a different artist to prey off of. The complete lack of any visible remorse or even acknowledgement of her actions tells me she's not the slightest bit really embarrassed by them. Vindictive, shameless, disrespectful. Thanks for the beware, definitely deserving! 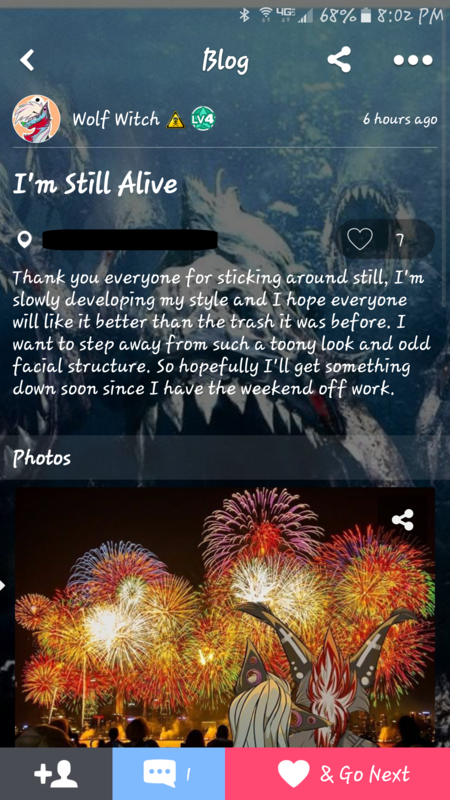 It may have been different if she'd have acknowledged me and just pulled the art, or even just silently pulled the art and said she was going to try something new without the passive aggressive tone in her posts. 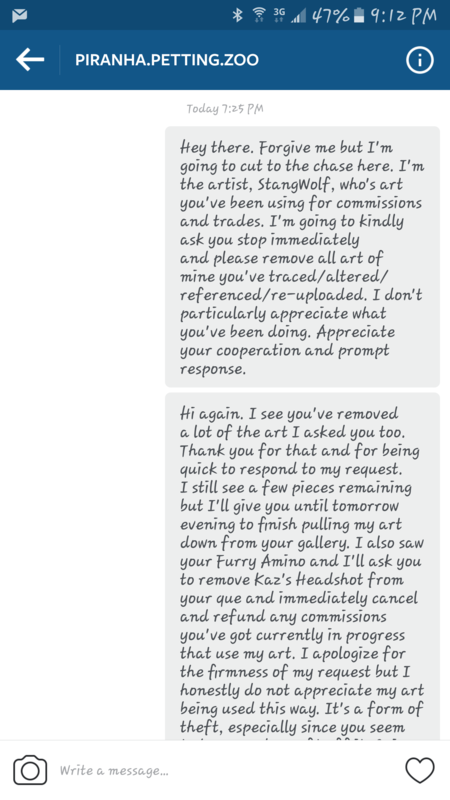 That's a really big part of the reason I posted a Beware, I'm worried she's just going to look for another artist to exploit. 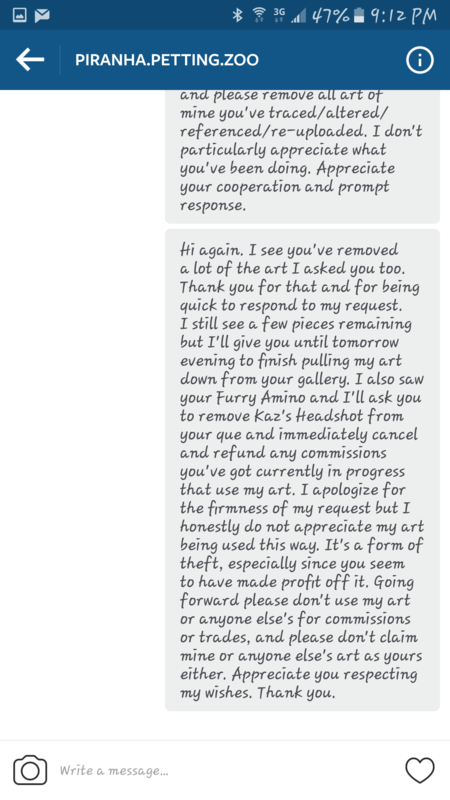 I figured at the very least a heads up in regards to her past behavior would be good for both artists and any followers of her's that may see this. Lol not gonna lie that was one of the first thoughts that crossed my mind when I saw that comment. It was good enough to use to earn herself some money.